The contemporary quilt world lost a star in Linda Brannock who died last month. 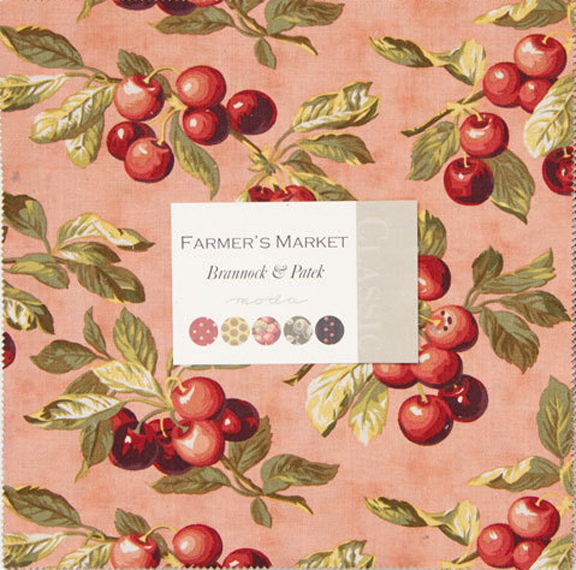 Linda worked with many Kansas City area designers to create what we call the primitive look. It would be hard to overstate her influence on a certain style combining muted color, geometric prints, plaids, flannels, innovative sets, stylized florals and stars, stars, stars. 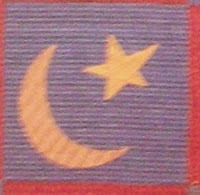 for publishers like Red Wagon. A certain wonky star became her signature image. "This all started when I wanted a quilt. In 1974, there were not many for sale and not any that I could afford. So I knew I would have to make one. Finally, I found a class and began this great journey. I started teaching in 1980, to a group of friends in my basement. After practicing on friends, I taught at eight different places and traveled 200 miles a week. 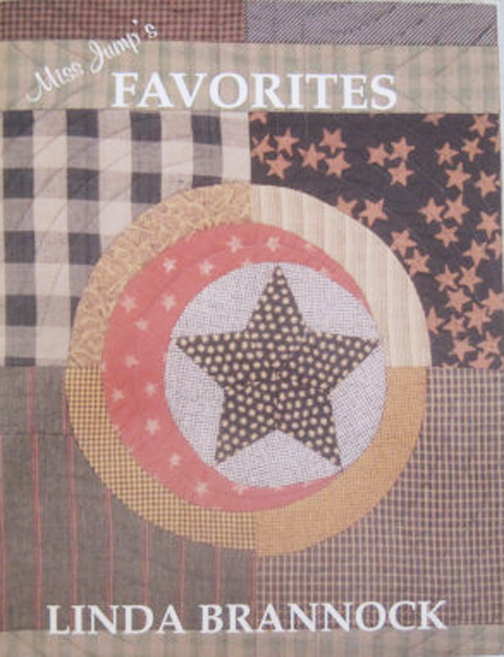 I created patterns for local businesses: Quilt Country, then Evening Star Farm, Red Wagon and ... Quilter’s Station. I have loved the last 27 years – many joys and stresses. I've enjoyed traveling, teaching, attending quilt markets all over the U.S., and designing fabric for Moda. 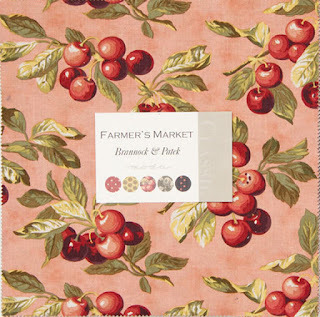 I started my own pattern business, the Star Quilt Company, in 1993 and loved it for 10 years." She and Jan Patek have partnered in designing fabric for Moda for years. 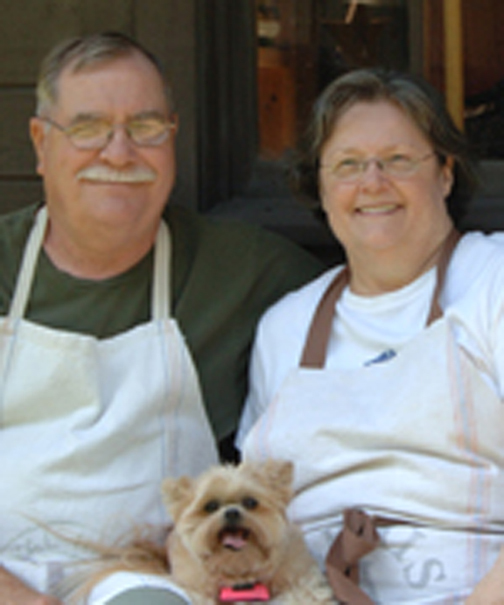 Linda's greatest joy was her family and her dogs. Here she is with husband Bob and Sugar. A digital world leaves us with strange access to memories. You can look at Linda's Pinterest pages and see what captured her eye over the past few years. 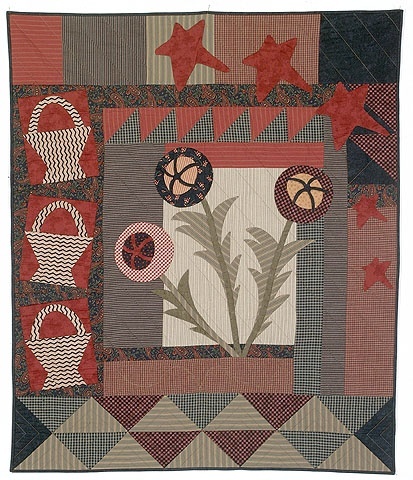 Linda is a treasure to me, her designs filled a quilting style I searched for! 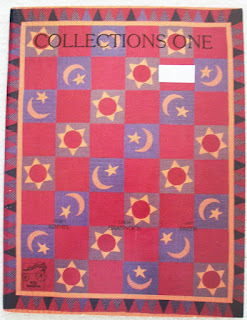 My heart leaped with Joy when I saw her quilt The Collector Series! Thank you for sharing your special tribute! Thank you for letting us know this Barbara. I have loved this woman for years and years. My little library of books holds Miss Jump and others. She has a beautiful legacy of creativity and joy. I tried over the years to collect all of her books. Never got it done! But she is what kept me quilting all these years! Awesome lady and I appreciate you remembering her. I'm sorry to here that Linda Brannock is gone. I have a few of her books and looked for more. When I heard of a Brannock and Patek fabric I knew I'd like it. Next time I start a new project I'll make one of her patterns that I've had my eye on for a long while in her honor. Thank you Barbara. It means a lot to me you remember my mother well. I'm going to miss her so much. 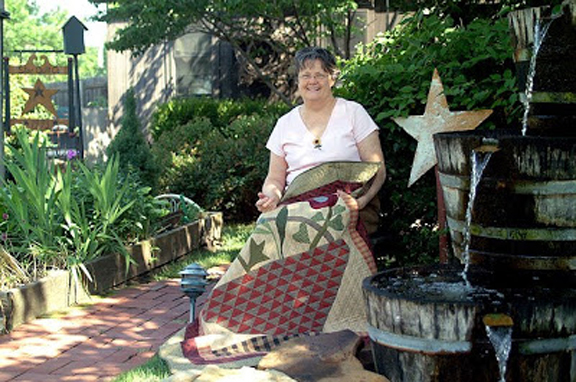 It is sad to see another wonderful quilter, leave this world. You posted a wonderful tribute to her and as I have learned recently, it means a lot to those left behind to hear other's memories of their loved one. Karmen---We are all going to miss her. Thank you for this beautiful tribute to my sister. She taught me all I know about quilting. Going to see Bob today and visit. Thank you for this wonderful tribute. 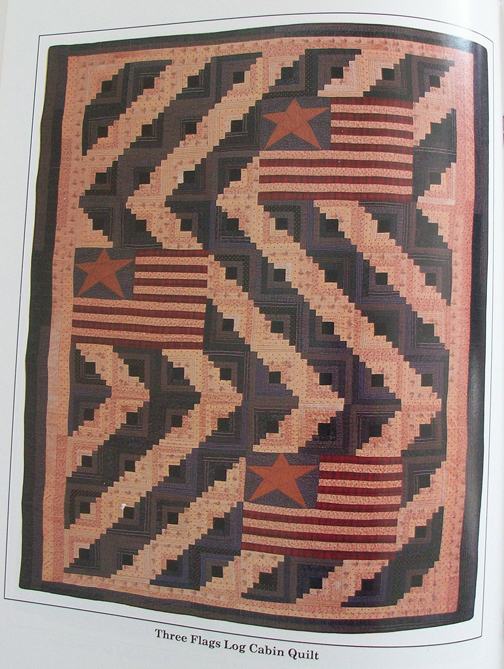 She certainly put "primitive" quilts in the limelight. She will be missed. 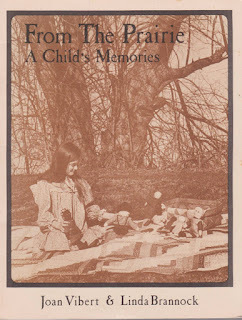 Oh, my gosh, "From the Prairie" is such a fond childhood memory for my daughter and me. She was five when I bought it. This book brought us so much joy. So sorry to hear of Linda's passing. Just wanted to let her family know how she touched us. I have that book tucked away for my grandchildren. What a wonderful tribute for such a talented and generous woman. Long ago I read an article about Linda in Country Sampler-type magazine. She had a most wonderful quilt displayed. 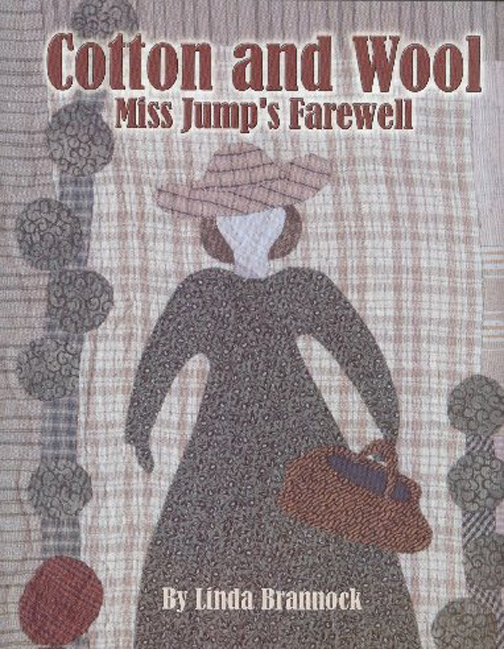 Since I had most of her books, I combed through them but couldn't find the pattern. I wrote to her and asked which book it was in...she responded that it was out of print, and sent me a copy of the pattern. 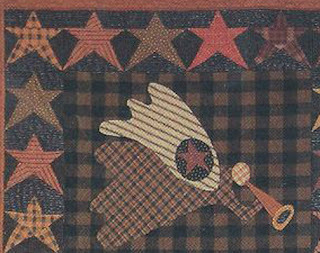 Gazing Ball, from a Red Wagon book. She will be missed. 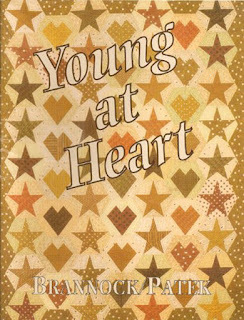 Lovely blog post to remember a talented quilter! Great article about one of my favorite primitive designers. 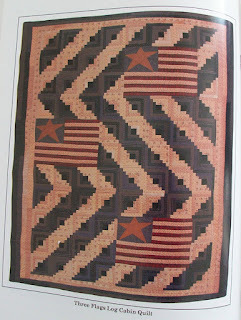 Jan Patek has informed me that the Three Flags Log Cabin Quilt that is shown in your post, is designed by Gerri Kimmel-Carr and not Linda's. Oh rats. It's a great quilt though. I'll fix it. Never got to meet her but talked on the phone the one thing she told me has stayted in the back of my mind always.......why would you want a fabric stash, use it, you want it in a quilt you see!!! Still makes me smile. Was fortunate enough to take a class from her and get to make one of her quilts..and then another and then another... Thank you for this wonderful post! Thank you for the tribute, I enjoyed her patterns and fabric. Praying for her family and their sad loss. 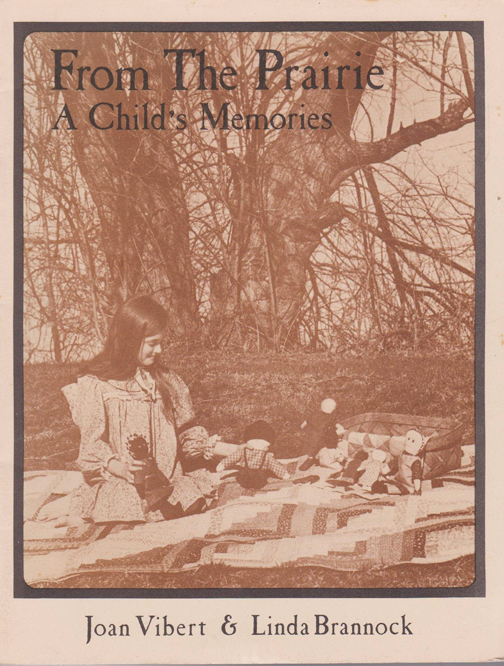 Her Patterns and Books were some of the first I ever bought and I have piles of may favourite Brannock and Patek Fabrics. How sad to loose such a wonderful quilter and inspiration to so many of us. I remember Linda fondly, as I met her at a quilt show in Vancouver, WA. I attended the show with my 7 year old daughter and Linda signed all of my books to my daughter Hillary and spoke words of encouragement about Hillary's quilting .....she was a lovely lady indeed. Wonderful tribute Barbara. 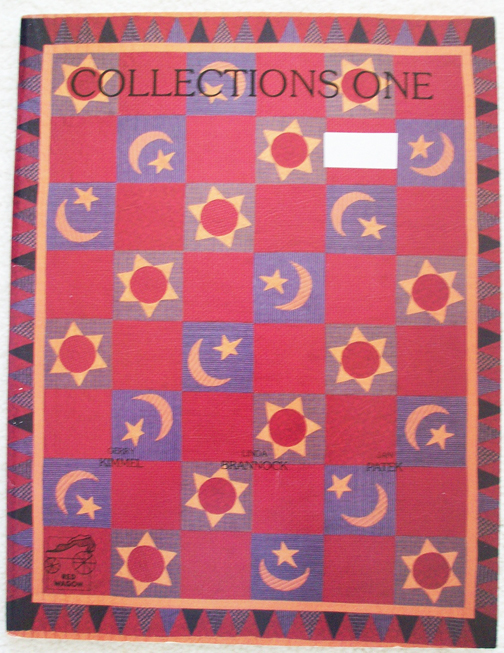 Linda Btannock had a lot of influence on how so many of us make our quilts. My friends and I plan to gather all our books authored by Linda, and our quilts made from her designs, we are having a sewing day and will have a grand time "with Linda". Thank you for sharing Linda's Pinterest, it's wonderful! 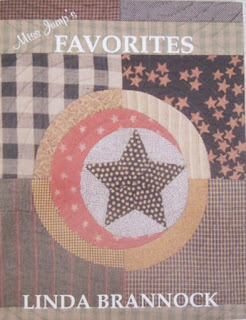 The primitive designs that Linda created in her quilts are my favorite kind of look when I make mine. I will miss her inspiring creativity and the happiness she brought to me when I sewed her quilts. I am going to find all of the books I have of hers and enjoy a "day to remember Linda" as I browse through her delightful books. Heaven is richer for her presence. 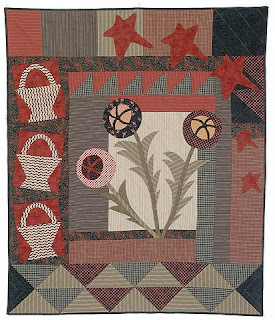 I can't believe she is gone.I didn't know her personally and yet through her quilts and stories in her books I felt as if I did.Wonderful quilter and designer.I have a lot of her and Jan Patek's books.I have been following them for years,love their designs and fabric.Primitive quilts are my favorite and I still like the old patterns to.She is gonna be missed by so many quilters.My heart goes out to her family and friends.God bless you all. Oh such a loss. I took a class from Linda many years ago and remember her saying she would never have wrinkles because she keeps them "plumped out". So sorry to hear this news. Barbara, thank you for this tribute to Linda. 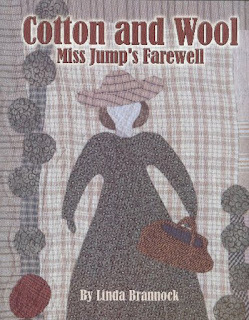 I was, and still am, inspired by her designs, have all of her books, and several of her patterns, and LOTS of the fabric she and Jan Patek designed. I had just begun quilting when I bought the book she wrote with Joan Vibert. Over the years I have had so much fun with Linda's designs, and will always be grateful to her for sharing her talents. Thanks again to you for the tribute. And her legacy lives on. I am now 67, have an aunt who is an avid quilter and I have always wanted to do some, as I dearly love hand sewing. I had not conciously heard of Linda, although the name was familiar. Today, I picked up a set of storage bins that I bought at Bob's auction, and now I have some of her patterns and books that she treasured enough to keep after she retired. I feel blessed.